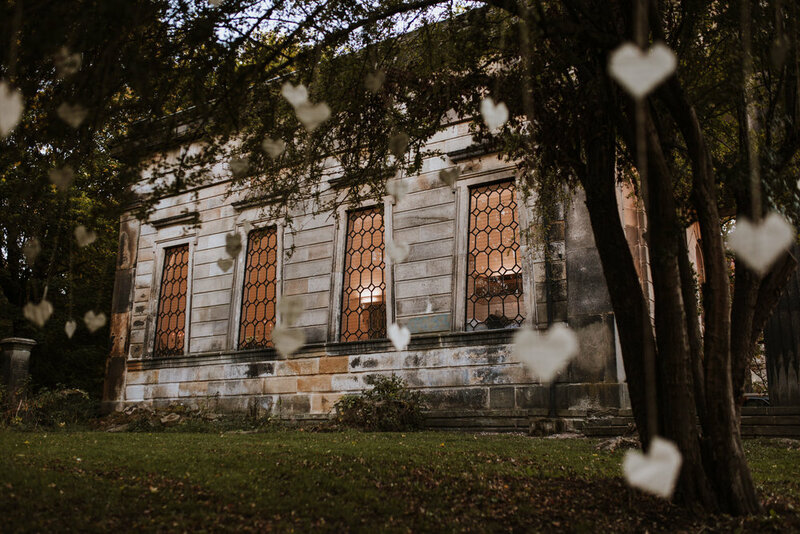 The Samuel Worth Chapel is a beautiful and intimate venue set in the heart of our nature reserve. Designed by Samuel Worth in 1836, the building was completely restored in 2016 winning a Georgian Group Award for its restoration. Its grand entrance leads you into a simple and elegant interior, flooded with natural light. The fine architecture set against the wooded hillside provides a stunning backdrop for photos. The space allows for wedding blessings, concerts, conferences, exhibitions and cinema screenings. The adjacent green space with wild flowers and lawned area gives you the opportunity to celebrate outside as well as in. We offer competitive rates for hire and reduced rates to charities. The chapel is accessible and is equipped with a kitchen, two toilets, underfloor heating and WiFi. The venue capacity is 60 - 100 depending on the nature of the event. Please contact us for more details sgct@gencem.org. Call or email our Events Team to arrange to view the venue, discuss availability or make a booking. To see how the venue has been used in the past click here. Sheffield City Council owns the land on which the Cemetery is sited. They have legal responsibility for maintenance of the structures and the conservation area. SGCT manages the Samuel Worth Chapel, the gatehouse lodge and promotes the Cemetery as a place of historical importance and a haven for wildlife. Registered charity (no. 1103158) and a company limited by guarantee incorporated in England & Wales (no 04997593).